LiquidMuscle: Making Super Protein Waffles Using the World's Cleanest Protein. Recipe Inside! 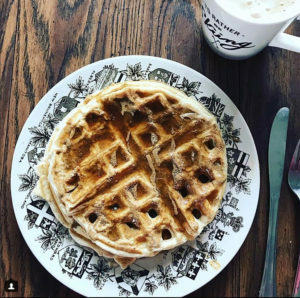 You are here: Home » News » LiquidMuscle: Making Super Protein Waffles Using the World’s Cleanest Protein. Recipe Inside! LiquidMuscle: Making Super Protein Waffles Using the World’s Cleanest Protein. Recipe Inside! Welcome to the next recap of Liquid Muscle Protein on MMACanada.net! Today, we will highlight a featured waffle that you can make from scratch using Liquid Muscle pure Liquid Protein! How to make Super Protein Waffles that taste good and deliver outstanding results! LIQUID MUSCLE is a flavoured Egg White that has the taste and texture of an indulgent Milkshake with 35 Grams of Pure, Clean Protein per 292ml with ZERO FAT, ZERO SUGAR and Zero Cholesterol and only 4 ingredients! It is pasteurized for food safety so you could DRINK it right out of the bottle and even COOK and BAKE with it. LIQUID MUSCLE is Now Available in many Stores and Online. New stores are being added regularly. News, Welcome to the MMACanada Lifestyle Product Reviews! © 2018 MMACanada.net | All rights reserved.